So, you’ve planted in spring and the summer has finally hit. Though that grass looks great, we’ve only hit half time. 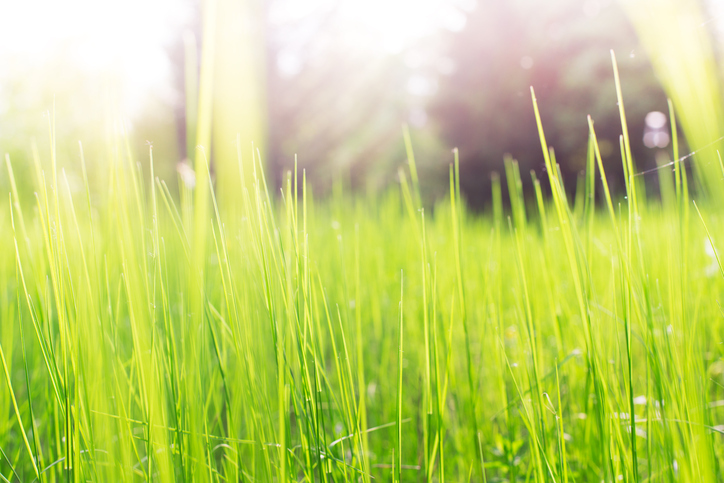 The ever-climbing heat can pose potential threats to that pristine lawn you’re so proud of. While we all enjoy the summer weather, it is important to know the effects it may have on your lawn. The increased temperatures, when combined with water-logged soils, can create conditions where there is no oxygen for roots to breathe. If the roots can’t breathe, they cannot absorb nutrients and water and they may die, leaving your lawn dull and patchy. The warm, wet, and humid weather conditions experienced across the northern US are likely to lead to disease and death in young seedlings. 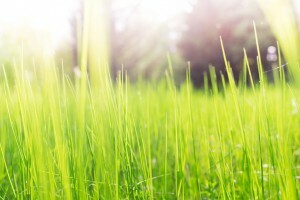 Extreme summer-like conditions are not a good time to plant northern grass seeds, such as bluegrass, ryegrass, and fescues, or to have young seedlings fighting to survive. Northern grasses are best planted during early spring and early fall when soil temperatures are between 50F and 75F. That’s when those grasses will have time to mature. Unless you have to seed to stop erosion, hold off on seeding until nighttime air temperatures are consistently less than 65 and daytime temperatures are consistently less than 80 between the middle of August and Late September. Seedlings do not survive where water accumulates and pools for long time periods during summer. After all, roots need oxygen as much as nutrients and moisture to survive. In areas next to driveways where auto tires have rutted the soil, all the tiny air pockets in the soil have been compressed, and water will accumulate in those low spots, reinforcing the need for irrigation. Although seedlings may grow there for a little while, they probably won’t survive for long. When preparing an area for planting grass seed, loosen compacted surface soil and sub-surface soil layers to provide aeration and good drainage of water through and across the soil. Fill the holes with soil similar to the native soil and then seed. Often, the drainage has to be added by professionals. This can include grates and various plumbing within your yard so that the water has somewhere to go. It’s not likely possible to change the overall elevation of your property, which is why the drainage has to be added in.By working with professionals, you get the problem taken care of properly. This ensures that each time it rains, you gain peace of mind knowing that there isn’t going to be puddles of water pooling around your home. It will allow you to keep the pests at bay and ensure that all of your landscaping thrives instead of dies. Discover some of the different drainage solutions that are available by calling us at (410) 489-9009 or contacting us online. We will schedule a time to come out and discuss options that would work for your home. This entry was posted on Monday, June 12th, 2017	at 1:46 pm	. You can follow any responses to this entry through the RSS 2.0	feed. Both comments and pings are currently closed.